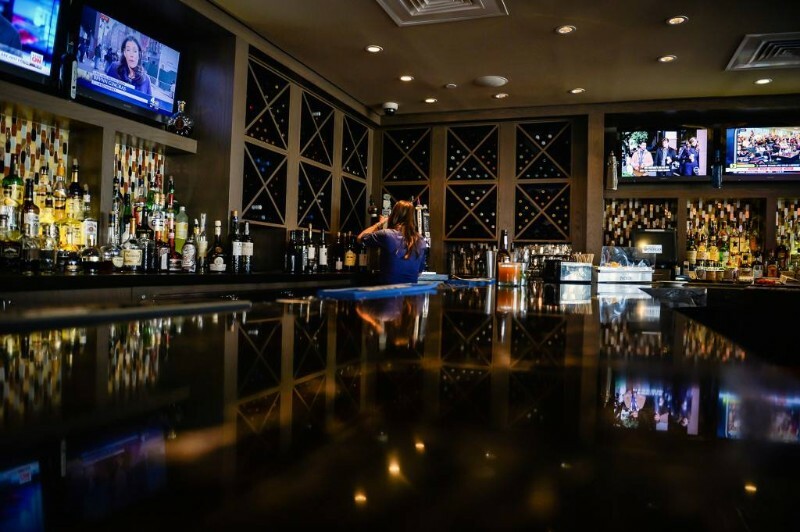 Whether you’re looking to grab a casual bite to eat or you’re in the mood to enjoy an evening of leisurely dining, Bistro 72 is the place for you. The contemporary aesthetics of our dining room and lounge create an atmosphere that’s perfect for connecting with friends over a glass or two of our regional wines, and you’ll easily feel right at home. Our diverse assortment of dishes allows you to spend a Saturday afternoon with friends at our bar over short rib tacos and flatbread pizza. Or spend a romantic evening dining with your significant other and sipping on one of our local wine flights on the patio. The two of you can spend some quality time while indulging in East Coast Sea Scallops fresh off the coast of Long Island or savor our finest Filet Mignon. Each day, Bistro 72 hosts 7 Days of Bistro. Our chefs’ skills of pairing the most delicious meals and finest libations sets us apart from other restaurants in Riverhead. Come by for Martini Monday, indulge in our delicious appetizers on Tuesday or Wine and Dine on Wednesday. On Thursday, we offer Single Malt specials. Then, get the girls together for Ladies Night Friday and come down for a quiet weekend on Date Night Saturday. Whatever your mood, let Bistro 72 provide the savory flavors of Long Island dining. Bistro 72 also features live entertainment every weekend. Listen to the smooth sounds of jazz, rock, soul and more. While enjoying the cuisine, native Long Island performers and talented artists from around the states will add to the intimate atmosphere. Over drinks listen to Jeff LeBlanc’s radiant voice or stop by to listen to April Rain. Be sure to keep an eye out for the most amazing dining events on the East End. Our restaurant hosts evening events including pairing dinners and paint nights. Each night celebrates the food and libations of the East End. Our staff at Bistro 72 welcomes you to come by and try the most exquisite restaurant in Riverhead. We hope to see you soon. Cheers! restaurant on the East End of Long Island.